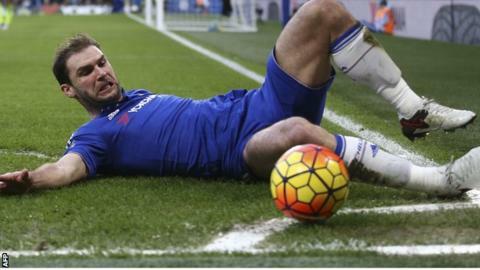 Chelsea defender Branislav Ivanovic has signed a new one-year contract at Stamford Bridge. The Serbia international, 32, joined Chelsea from Lokomotiv Moscow in January 2008 and has made 341 appearances, scoring 32 goals. He has won the Champions League and two Premier League titles with Chelsea, plus three FA Cups and one League Cup. Ivanovic also headed the winning goal for Chelsea in the 2013 Europa League final against Benfica in Amsterdam. "This is my home and there is no other place I would rather play," said Ivanovic, who was made vice-captain at the start of this season.